Our aim is to promote Ancient History and Classical Studies and to support education in these subjects throughout Northern Ireland. The Association in Northern Ireland was relaunched at the culmination of the 2014 Summer School organised by the Classical Association of Ireland. Based in Belfast, we are a branch of The Classical Association of Ireland. 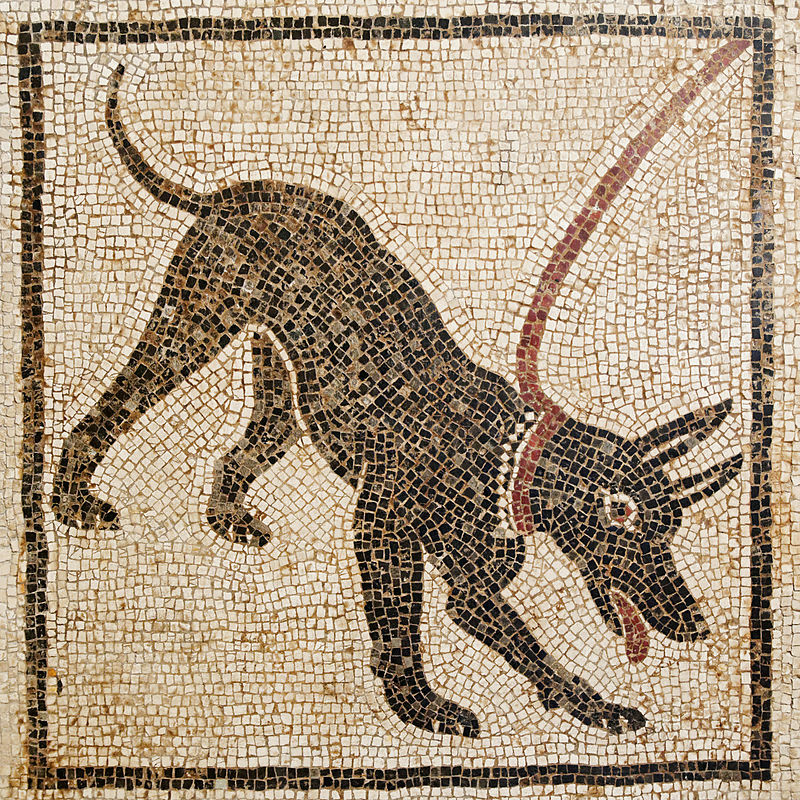 We are dedicated to supporting Ancient History and the Classics so our emblem is the representation of a stylized hound signifying guardianship.The dog was a popular subject for mosaics on the entrance floors of Roman homes and a recurring graphic motif in early Irish Latin manuscripts. 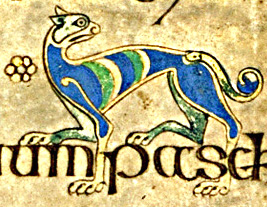 Narratives featuring hounds were frequently incorporated into the earliest oral and written traditions of Northern Ireland. The Roman senator and orator Quintus Aurelius Symmachus, (circa A.D. 340 – 402 ) wrote a letter to his friend Flavianus (c. A.D. 393). In this he described an astonishing event he had witnessed in Rome when a group of Scotti men came into the city accompanied by seven of their dogs. These creatures were so fierce that he wondered if they had not been transported there in secure iron cages.